WiiWare adventure Bobby Carrot Forever is coming along at a fair old clip now, having spent a few years in the WiiWare wilderness. The latest updates comes in the form of a new trailer and confirmed gameplay details too. 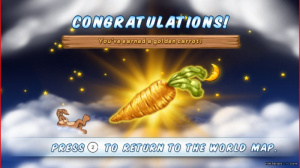 Apparently the game will offer 15 hours of gameplay across more than 70 levels, with further levels to be made available via downloadable content, it sounds like you should get a lot for your Wii Points when Bobby Carrot Forever is finally released. Here's the trailer and a set of features for dessert. Those parents are so into it I'm not so sure about the game, but time will tell. The commercial was better before the announcer guy started telling us about the game, as if we were supposed to take it seriously from that point. I want to get the full game for my points, Hopefully the DLC will be free.. Adult things to do,that sounds odd................hmph that kid insulted that poor bunny!! I'm always surprised by the mixed reaction people give this game. It actually looks very promising to me! Never heard of this game actually... But, nevertheless I am going to have to check it out when it comes out because the discription does sound promising. Bobby Carrot had a promising future ahead of him as the successor of Duke Nukem, but alas, it was never meant to be. @Future777 game looks good, any idea on the price? 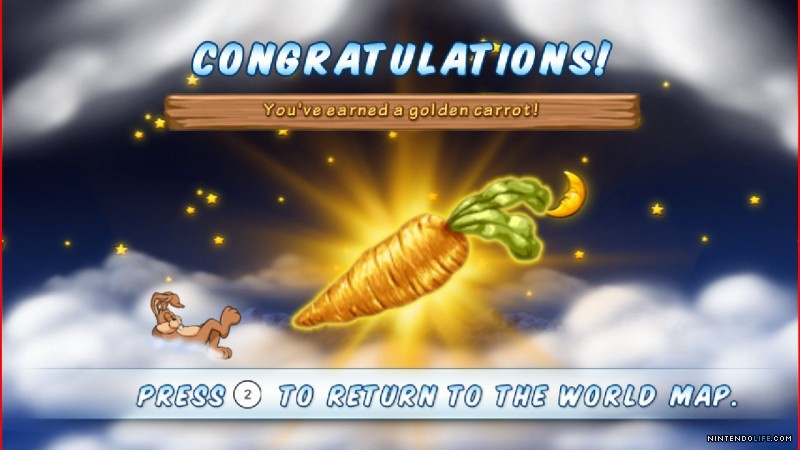 Also, I've played one bobby carrot game before on my cell phone and it was actually fun. Thanks, pedrron. I´m glad to hear that you enjoyed the cell phone game. We plan a price point of ~800 Wii Points for the full 15 hours adventure with over 70 levels. That's exactly what came to mind when I saw this game's title.